The replacement of both the sensors and batteries is incredibly simple, minimising any maintenance downtime. The highly efficient, commercially available battery ensures the ALTAIR PRO will run for over a year when used over a standard working week. ALTAIR PRO features an extra thick rubberised housing which provides resistance to water and dust ingress. 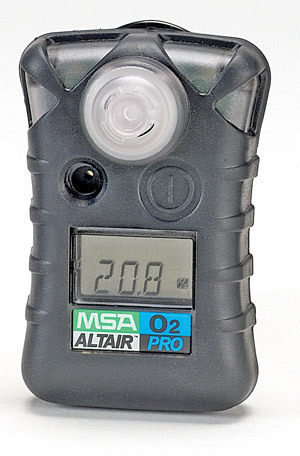 With the rugged suspension clip fitted as standard the ALTAIR PRO can be securely attached to clothing. A highly comprehensive datalogging facility is standard on ALTAIR PRO. Via the built-in Infra-Red link data is transferred to a PC where information can be assessed quickly and easily.